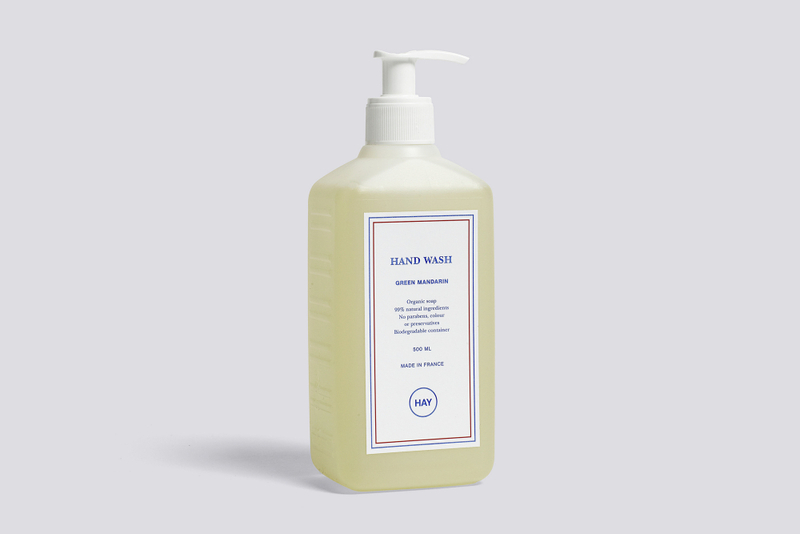 HAY’s hand wash comprises an organic, colour- and paraben-free liquid soap with a green mandarin fragrance. The product is manufactured in France and comes in a plastic biodegradable container with a pump dispenser. HAY’s washing liquid comprises a natural colour- and paraben-free liquid soap with a juniper wood fragrance. The product is manufactured in Sweden and comes in a plastic biodegradable container with a pump dispenser.